At 16 her parents decided she should broaden her education by studying at Gordonstoun, one of Britain's most prominent boarding schools. One day Lara came across a copy of National Geographic on the hall table. The front cover featured a familiar name - Professor Werner Von Croy. A respected archaeologist, Von Croy had once lectured at Lara's school to pupils & parents alike. The experience had a profound effect on Lara, triggering a desire for travel to remote locations in search of adventure. In some ways Von Croy had become an inspirational figure for Lara. As Lara read further, she learned that Von Croy was currently preparing for an archaeological tour across Asia, culminating in a potential new discovery to be made in Cambodia. Unable to pass up this opportunity, Lara burst into the room, thrust the article in front of her parents & without hesitation demanded she accompany Von Croy on his expedition. Lord Croft could hardly disagree that travel was an education in itself. As Lara argued the case further, he found himself walking over to the desk & penning a letter to Von Croy. He Introduced himself as an influential society figure and offered financial assistance in exchange for his daughter's place on the expedition. Von Croy's reply assured the Henshingly Croft's that the territories were friendly and that he had ample experience to look after both his & Lara's well being. Lara's company as an assistant would be welcome, as was the offer of such a generous cheque. He remembered Lara from his lecture - her incessant yet insightful questions had made quite an impression upon him. And so it was agreed by all that Lara would accompany Von Croy for the duration of the tour. After attending a Swiss finishing school at the age of 21, Lara's marriage into wealth had seemed assured, until one day, on her way home from a skiing holiday, her chartered plane crashed deep into the heart of the Himalayan Mountains. Lara probably should have died there, as most people would have, instead she learned how to depend on her wits to stay alive in hostile conditions a world away from her sheltered upbringing. Two weeks later when she walked into the village of Tokakeriby her experiences had had a profound effect on her and in that process transformed herself as well. Her Himalayan odyssey was both miraculous and enlightening, as the young woman not only survived, but gained a perspective on herself and the world that made her past appear shallow and naive. Out of the darkness of her ordeal, she saw her future reflected in a different light. She felt profoundly that there was more for her in this life than the coddled existence that had become her numbing habit. She realized that she was only truly alive when she was travelling alone. Over the eight following years she acquired an intimate knowledge of ancient civilizations across the globe. Her family soon disowned their prodigal daughter, hoping she would wed The Earl of Farrington. She turned to writing to fund her trips. Famed for discovering several ancient sites of profound archaeological interest and gaining some notoriety for having slain an actual Bigfoot in North America, she made a name for herself by publishing travel books & detailed journals of her exploits. 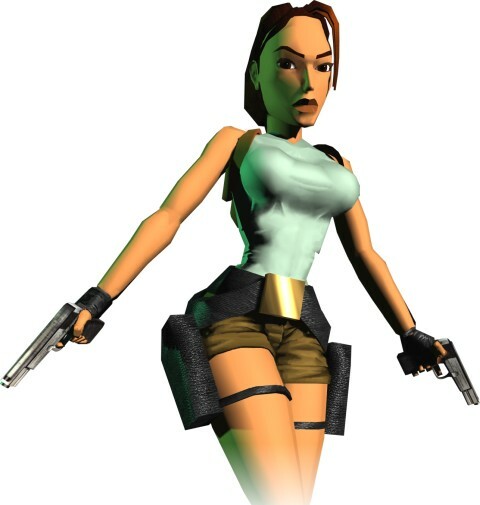 Lara Croft became the seeker of truths, both large and small, and in that pursuit she continues to this day.